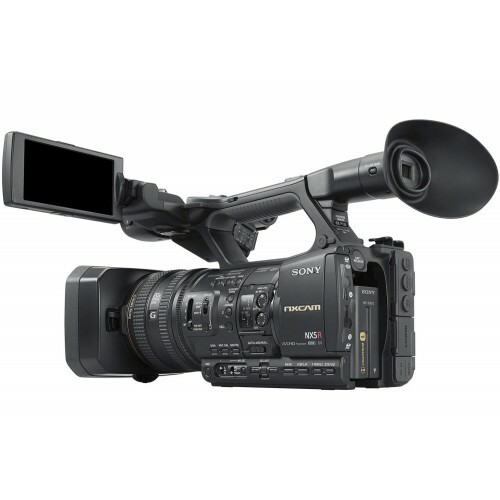 Sony HXR-NX5R Full HD compact professional NXCAM camcorder offers improved network functionality over previous cameras in the line, and it allows you to select from XAVC-S 50 Mb/s to AVCHD/DV recording. Suitable for documentaries, corporate, weddings, events, nature, sports, and journalism, the NX5R shoots at NTSC broadcast frame rates from 59.94 to 23.98. It incorporates a 3G-SDI output that supports Full HD 1920 x 1080p video at 59.94 fps, as well as 1080i, 720p, and the previously mentioned 720 x 480i.Built-in Wi-Fi, NFC, and FTP allow you to send your footage to your editor while you are still shooting, so post-production doesn't have to wait on the data cards being sent from the shoot.The NX5R can record 1920 x 1080p footage at 59.94 fps using the XAVC S codec.The AVCHD format utilizes the MPEG-4, AVC/H.264 video codec, allowing users to record HD video footage onto random access media, such as Memory Stick PRO Duo and SDHC memory cards. The NX5R supports AVCHD and AVCHD 2.0. "G Lens", the lens featured in other successful Sony camcorders, already enjoys an excellent industry reputation. In the HXR-NX5R, this sophisticated lens is optimized to complement the camcorder's advanced image sensor and image processing technology.Three 1/2.8" CMOS Exmor sensors and a 20x optical zoom Sony G lens with 40x Clear Image Zoom provide sharp and clear images. And if you need more illumination there is a built-in LED light above the lens. Professional audio is not forgotten with two XLR inputs that support Line, mic, and mic +48 (phantom power). 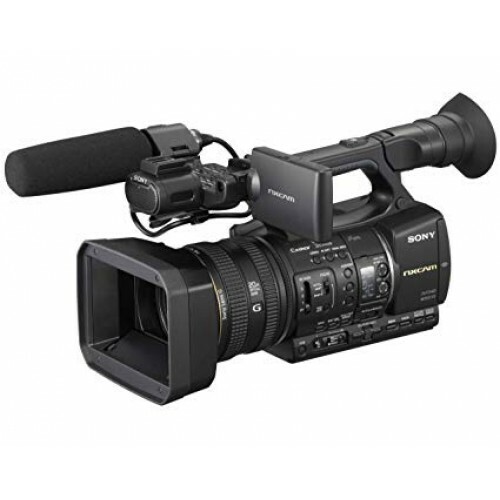 The Slow & Quick Motion function enables 1080p recording at selectable frame rates. 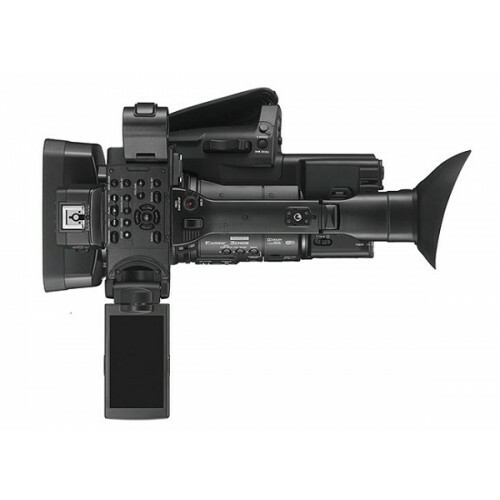 The camera features two media card slots that support recording on Memory Stick PRO Duo or SDHC/SDXC media cards.